WHAT: NASA Astronaut Sam Gemar will be coming to campus to give a brief public lecture about the Astronaut Scholarship Foundation (ASF) and his time with NASA. Gemar will also present University of Rochester undergraduate William Green with a $10,000 scholarship on behalf of ASF. TIME, DATE AND PLACE: 1:30 p.m., Tuesday Oct. 28, Welles-Brown Room, Rush Rhees Library on the University of Rochester River Campus. ABOUT SAM GEMAR: In his lecture, Sam Gemar will discuss his time at NASA, and the three space flight missions that he flew during the 1990s. 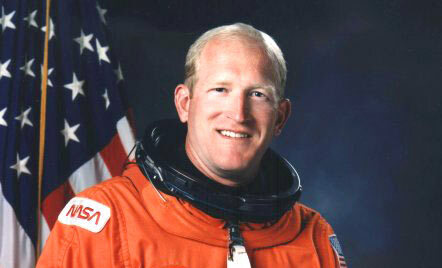 Gemar received his bachelor’s degree in engineering in 1979 from the U.S. Military Academy, and was selected to join NASA in 1985. He has spent over 24 days orbiting the Earth’s atmosphere on the spaceships Atlantis, Discovery, and Columbia, and he has completed multiple missions for NASA, including successfully launching a research satellite to monitor the Earth’s upper atmosphere. In 1996, Gemar was named the director of the National Security Space Master Plan, which identified strategic goals for the national security space community. He has earned multiple awards for his service, including two National Defense Service awards, three NASA Space Flight Medals and a NASA Exceptional Achievement Award. He is currently working as the chief of flight tests and shuttle operations at Bombardier Aerospace. ABOUT WILLIAM GREEN: Scholarship recipient William Green is a junior mechanical engineering major at the University. He has conducted research with UR Professor Stephen Burns on ways to create optical elements with a 3-D printer, and he is currently the usability project team leader on the Baja SAE team, which creates and builds all-terrain vehicles each year. “William possesses a rare combination of academic excellence, experience in hands-on engineering, imagination in research, and a desire to contribute to the University community,” said John Lambropoulos, chair of mechanical engineering and materials science and director of the materials science program. The Astronaut Scholarship Foundation award encourages students to aid the United States in retaining world leadership in science and technology by providing scholarships for college students who exhibit motivation, imagination and exceptional performance in these fields.